Keeping up with our stair safety series, we will be discussing the topic of insurance compliance in this month’s blog. The fortune of owning your own home or any other property comes along with quite a few risks and liabilities. For example, when someone enters your property, you are responsible for maintaining a relatively safe environment. This is known as premises liability. A guest or a worker can sue you for injuries if he/she slips and falls off the stairs due to weak or unsecured railings. This is why The International Code Council (ICC) and Occupational Safety and Health Administration (OSHA) have created a set of guidelines and requirements. These are known as building codes to ensure the safety of any premise, whether it’s a residential or commercial property. Railings are a critical safety feature on outdoor and indoor stairs, and ramps. A guardrail is located near the open sides of elevated walking surfaces that minimizes the possibility of a fall from the walking surface (landings, platforms, decks, porches, and similar structures) to the lower level. While a handrail is a horizontal or sloping rail intended for grasping by the hand for guidance or support. Handrails may be installed along stairways, balconies or walkways. They can also be placed above ground, on ramps, bath and shower entries and exits and around toilets. They are also installed at any location where guidance may be required, such as for buildings occupied by vision impaired or elderly people. Are your Guardrails and Handrails Compliant? Generally, guardrails and handrails require a rise of at least 30 inches. A railing is required on the open side of the stairs with more than four risers. Standard handrail width should be between 1¼ to 2 inches wide. Insurance companies follow the minimum requirements set by OSHA as well as the local and state laws. They can also require additional safety measures necessary to reduce risks and potential danger that may result in a liability claim against a property. These requirements may vary by state, county, and local ordinances but most of them conform to standards issued by the ICC and OSHA. Not following these standards can put people, even yourself at risk. It can also cause you a significant amount of money due to fines and insurance premiums. Don’t take the risk it! 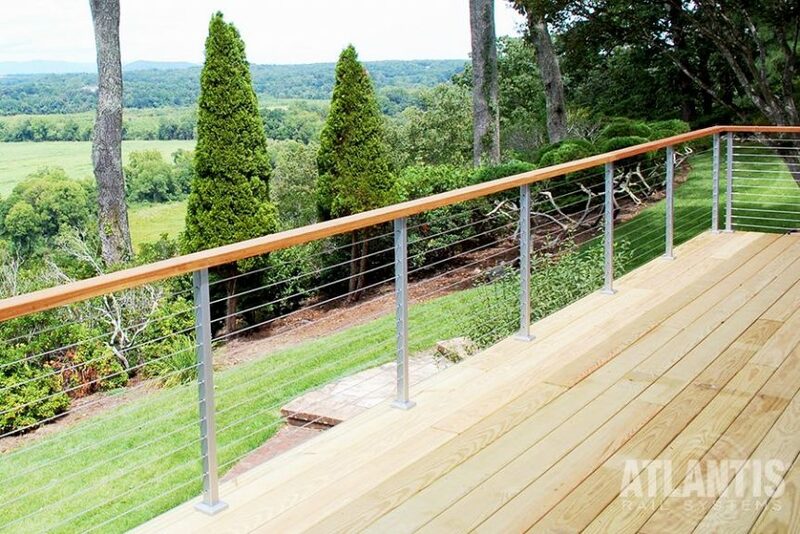 Our railing systems are not only beautiful and functional but they are ICC and OSHA compliant. Contact us today to ensure that your guardrails and handrails are safe and secure for you, your family, and your guests.